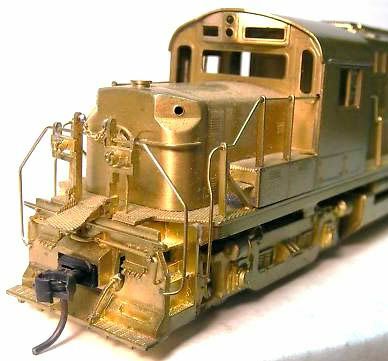 ALCO Models first DL-721 was imported from Japan and built by KMT-Kumata. 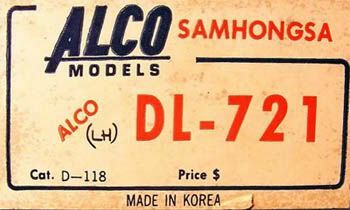 ALCO did issue another DL-721 near the end of the company's releases that came from Samhongsa in Korea. Both carried ALCO Models' stock number D-118. The box label will tell you "Made in Japan" on the original KMT examples, while the later Samhongsa includes that firm's name and Korea origination note on the box label.